U-Build Sierra Cart - Cal-Mil Plastic Products Inc. 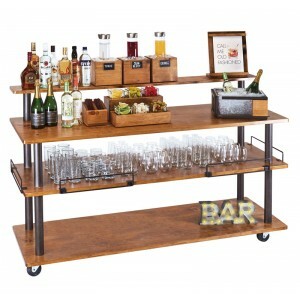 Designed to easily be assembled and taken apart to save money on shipping, the U-Build Madera Cart is the perfect serving cart for high-traffic areas because of the 3 extra-wide shelves, and optional top shelf. The sturdy metal supports allow for added durability to this elegant display.